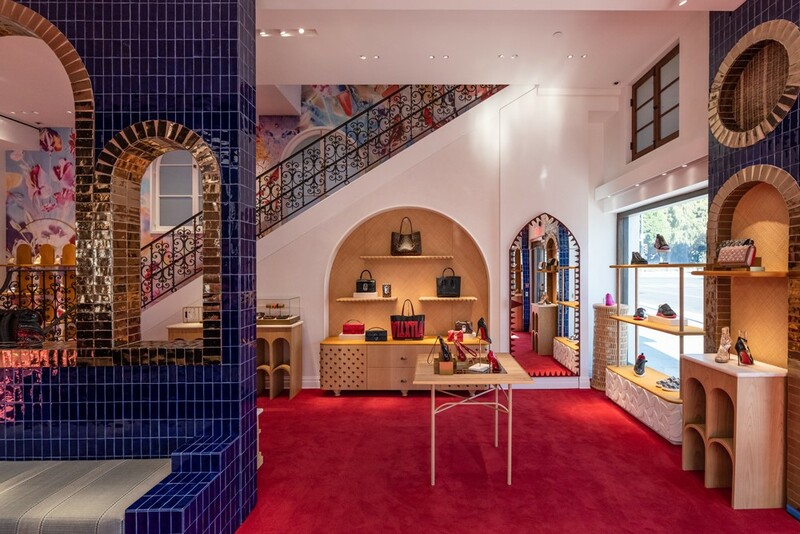 Sealed with a crest in the brand’s signature red, the Women’s Parfums Collection coffret houses Christian Louboutin’s three fragrances for women: Bikini Questa Sera, Tornade Blonde and Trouble in Heaven in 5ml replicas of the full-size bottles of the three distinct scents. 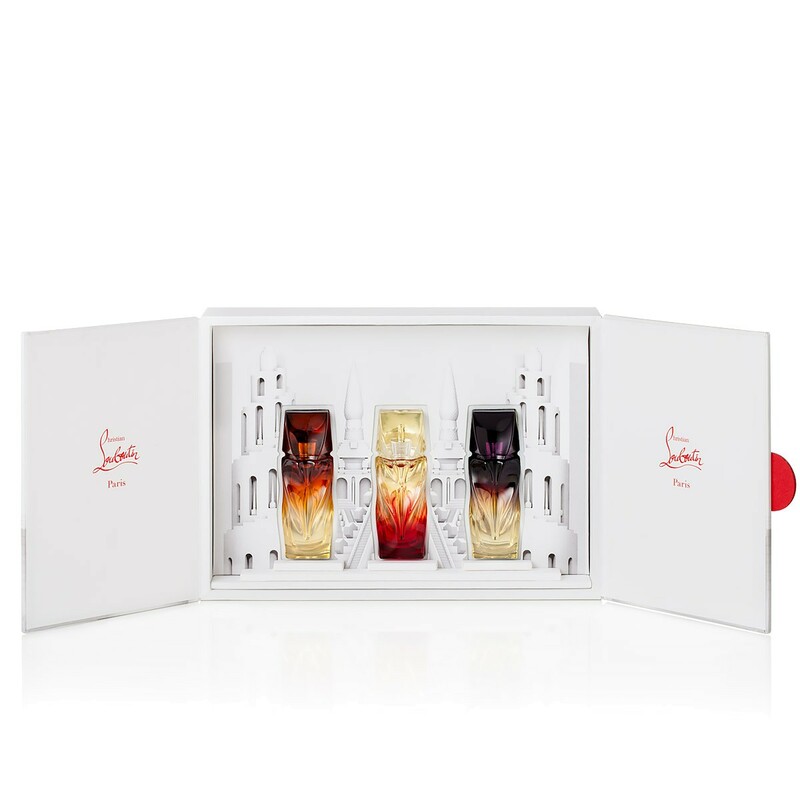 This coffret is the ideal gift for women to discover and cherish all three of Christian Louboutin’s scents. 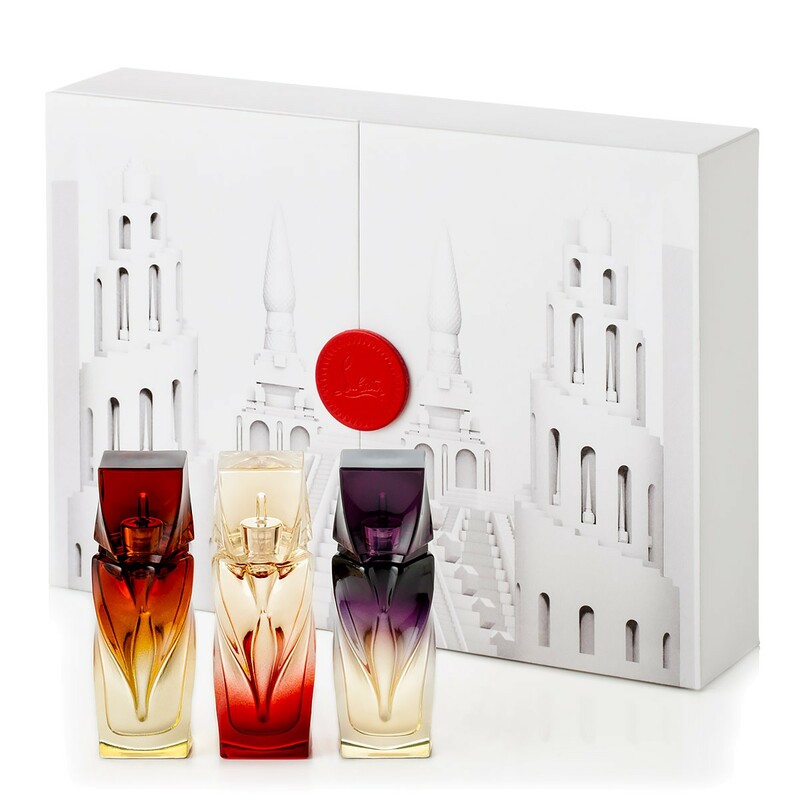 This gift set is animated with Loubiville, an enchanting city of swirling streetscapes and soaring towers that transcend time and space. The stark all-white background featured on both the exterior and interior of the box highlight the undulating and colourful curves of the tactile and hypnotically visual fragrance bottle. Intimate and compelling, Bikini Questa Sera takes the heat into the night. In the cool of the night air, the fragrance shimmers still in the moonlight, jasmine and tuberose, opalescent against the skin. The heat and sensuality of the scent are evoked with the bottle thanks to the deep amber-and-warm gold ombré. A trail of golden light, Tornade Blonde is the scent of desire. Feminine and potent, animalistic yet botanic, it is the scent of desire, love and adventure. A gorgeous red rose lies deep in a bed of sweet violet and cassis. The iridescence of both the fragrance’s and the woman’s spirit is reflected in the garnet-to-light gold ombré colours of the bottle. Intoxicating and mysterious, Trouble in Heaven is the scent of provocation. 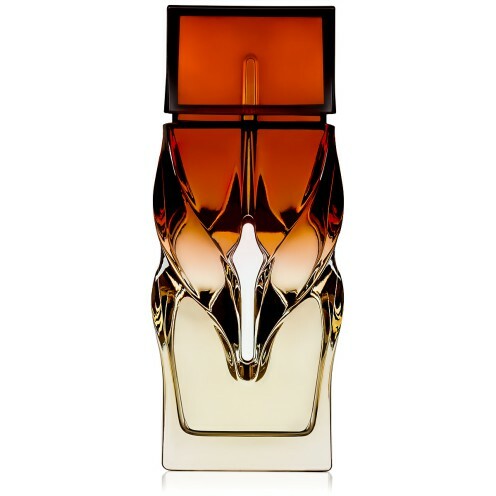 A second skin of perfect iris, patchouli and tonka absolut resonates with the dry heat of amber. 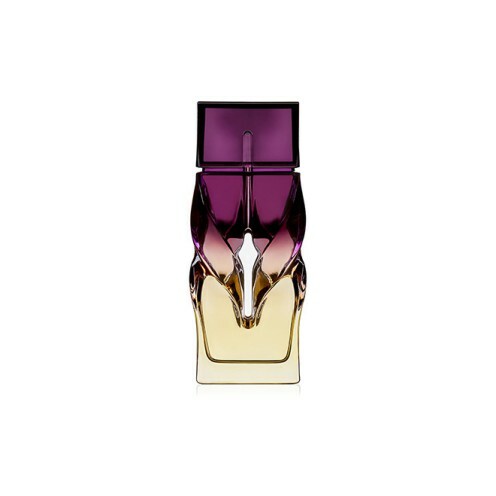 The royal purple-and-gold ombré of the bottle evokes nobility and opulence.